Engineered to the highest standards the SX is the workhorse of the Centerliner range. Well considered design ensures ease of use at every stage from setting up to washing down, so that SX owners come back time after time. Professional finish – Double powder coated with stainless steel spreading components. The Calibration Bowl, for double checking the best setting is selected for your machine. For spreading grass seed the Grass Seed Agitator helps the seed to flow through the shutter without bridging. For a longer service life, Domex Hardened Vanes are available as an option. The punched hole sieve is finer than the standard sieve to prevent small lumps of fertiliser passing through. Tried and trusted for straightforward, reliable and accurate spreading. 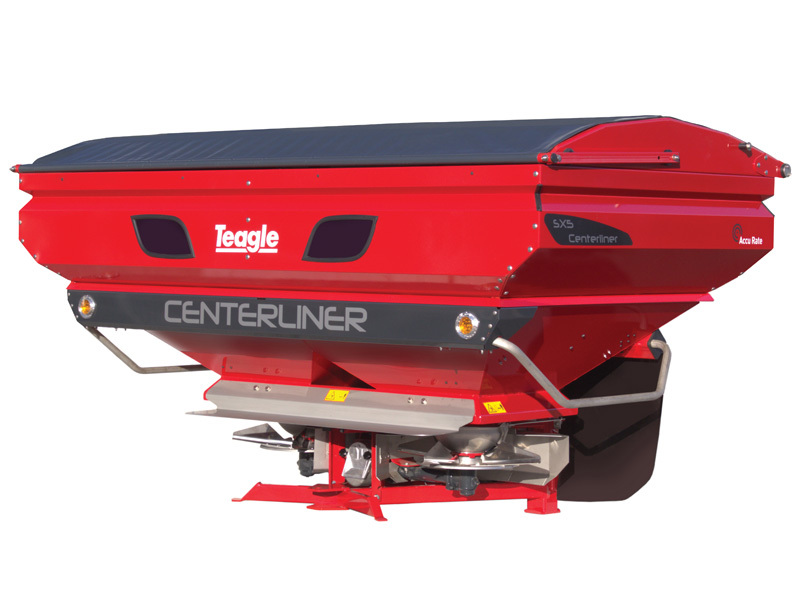 A comprehensive range of Grassland and Arable spreaders.